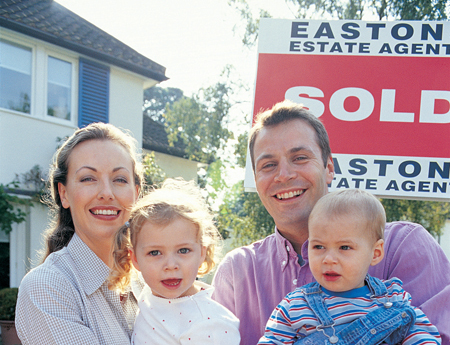 Before you consider bidding use our tips to make sure you’re prepared and know what to expect. Working out how much you can afford to repay on a home loan plus all the associated costs of buying a property—like stamp duty―is the first step. Of course, buying at auction means the final purchase price remains unknown until the hammer falls. But a defined financial limit means you’ll know when to stop bidding. Use a home loan calculator and speak to a financial planner to understand all the costs of buying a property. Make sure you’re ready to bid. That means knowing exactly how much you can borrow comfortably because your lender has assessed your situation and approved a specific amount. Visit your lender before you start looking for a property and arrange pre-approval so you’re set to go. With an approved home loan you can benefit from competitive interest rates and terms, plus the convenience of pre-approval. It can take time to find the right house. Researching the area will give you an idea of prices for similar properties. Attend auctions in the area so you understand the strategies agents use and what to expect. Before buying at auction, make sure the property is solid—arrange building and pest inspections. And read the contract, certificate of title and section statement so you understand what you’d be buying. If possible, ask a solicitor to look over the paperwork with you. Step 4: Ready, set… auction! Before the auction, decide who’ll bid for the property―speak with the real estate agent. You can ask someone to bid on your behalf; they may need to sign a proxy form. If the reserve price―the minimum the seller will accept―is reached and you’re the winning bidder you’ll have to sign a contract of sale and pay 10% deposit immediately after auction. Ask the agent how you’ll need to provide the deposit. Will you need a personal cheque book? If the reserve price isn’t reached but you are the highest bidder, the agent may negotiate with you and the seller afterwards. If your heart’s set on a particular property, it can be difficult watching someone outbid you. But it’s better to walk away without a property than with a debt larger than you can repay. Remember your financial limits and stick to them. You’ll avoid paying more than you can afford―or than a property may be worth―and stay out of the emotional charge an auction can create. Making the decision to buy or not to buy can be complex, so it’s important to talk to your financial adviser before you take the plunge.